As a leading private university in Korea founded with the mission to create a civilized world, Kyung Hee University pursues global eminence with its state of the art research facilities, renowned faculty, and social and global contribution. Following the founder's commitment to international cooperation and global peace, Kyung Hee has a cherished tradition of close relationship with the United Nations. 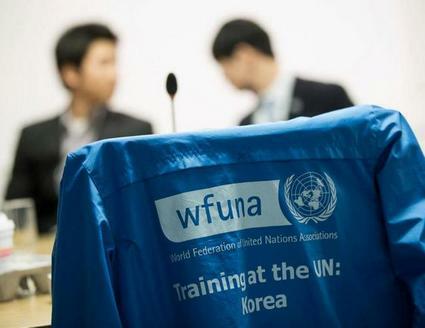 It held the inaugural conference of the World Civic Forum in association with the United Nations in Seoul, May 2009 exemplifying the value of this tradition. understanding and prosperity. As a result, it encourages frequent exchanges with sister universities overseas to facilitate the sharing of ideas. These activities spread a common belief in the value of learning. excellence and global praxis. At its 60th anniversary in 2009, Kyung Hee declared a new beginning with the words, 'Kyung Hee towards Global Eminence.' In 2011, Kyung Hee was ranked 7th among more than 250 Korean universities in the Joong Ang Daily's university evaluation and 48th in Asia and 245th in the world according to the QS World University Rankings 2011/12. We hope that you will have the opportunity to take advantage of the benefits of Kyung Hee's proud achievements and crystallizing vision. The mission of the College of International Studies, often called Kyung Hee International College or KIC, is to educate and train future international specialists who will play a leading role in the era of globalization with a broad perspective and the necessary skills for leading international organizations, global corporations, the mass media, NGOs, and public sector agencies. To achieve this goal, KIC provides a truly inter- and trans-disciplinary curriculum that includes the study of international relations, international economics, global business, and East Asian studies. KIC runs a 100% English based curriculum where all the classes are conducted in English. KIC also has a joint Bachelor's and Master's degree program with the Graduate School of Pan-Pacific International Studies, or GSP, which allows students to get both degrees in 5 years. KICians are truly proud of the variety of curriculum and extra-curricular programs and activities available through KIC. 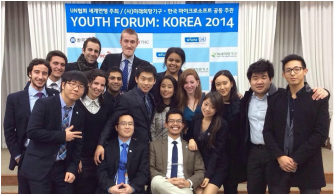 경희대학교 국제대학 모의유엔 사무국(KIC Model UN Secretariat)은 경희대학교 국제대학 소속의 학생 자치기구로서, 한국의 유명한 모의유엔 대회와 청소년 프로그램을 기획하고 개최하고 있습니다. 2008년 설립된 이래 2013년까지, 경희대학교 국제대학 모의유엔 사무국은 24번의 대회, 프로그램, 캠프 등을 개최해 왔으며, 언제나 수준있고 저명한 대회들을 준비하고 있습니다. 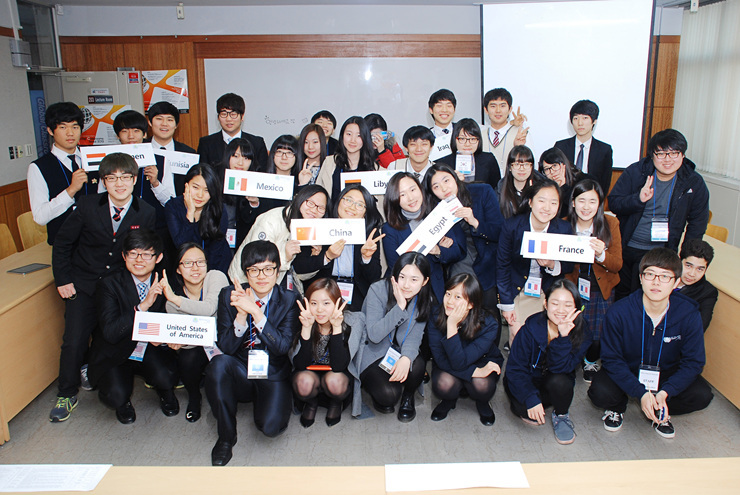 Best Delegate is an education organization based in New York specializing in Model United Nations. Its mission is to bring out the best in today’s students in order to prepare them to become tomorrow’s leaders through Model United Nations. 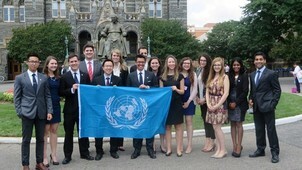 Best Delegate organizes Model UN training programs at university campuses and schools in twenty countries throughout North America, Latin America, Europe, the Middle East, and Asia. Its flagship summer MUN Institutes have been held at Harvard, Columbia, Berkeley, UCLA, Georgetown, and other top universities. Best Delegate runs the world’s most popular website on Model UN, BestDelegate.com, which is read by over 500,000 readers from 190+ countries and territories annually. The website has been featured and cited in The New York Times and the Huffington Post. 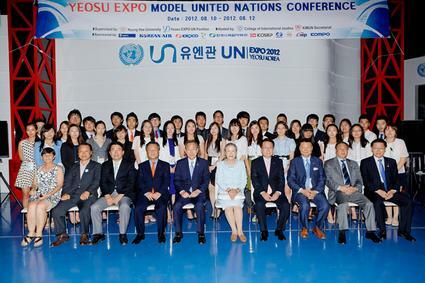 Best Delegate works with major non-profit organizations around the world to develop Model UN programs. 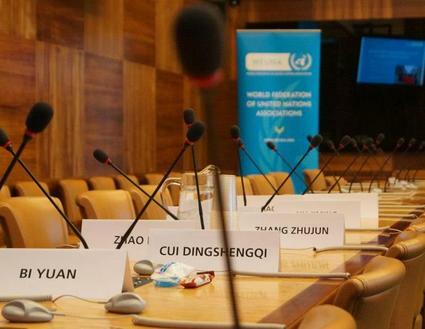 Best Delegate previously partnered with the World Federation of the United Nations Associations (WFUNA) on the WFUNA Youth Camp Korea in 2013 and 2014 and on the WFUNA International MUN Conference (WIMUN) in Rome. These programs have implemented the UN4MUN procedure developed by the United Nations Department of Public Information and are recognized as the most accurate simulations of the United Nations worldwide.